During the North Dakota State Fair a few years back, one of my parents’ friends told me to check out Mac’s Hardware in Minot because the hardware store boasted one of the largest soda selections in the entire United States. Who would think that a hardware store of all places would have a large soda selection, but sure enough - they had a large display of over 100 different sodas from all over the world. The one that popped out most for me was Abita Root Beer from Louisiana’s Abita Brewing. Abita Brewing is one of the more popular craft breweries in the United States, but they also happened to have a non-alcoholic craft root beer that happened to taste absolutely amazing and easily the best root beer I’ve had in my life. Craft root beer is becoming more popular as time goes by and booze-based root beer is becoming a big trend in the beer industry. In late 2014 American brewery Small Town Brewery saw their Not Your Father’s Root Beer become an overnight success to the point where I was receiving emails asking if the malt-based root beer was available in Manitoba - it’s not, and it may never come to Manitoba until a distributor gets the Canadian rights for it. Instead of having to travel down to Minot to pick up a 6-pack of the boozey soda, there’s three popular options available here in Westman - which all use barley malt, making it a beer-like soda, with a kick of booze to it. Mad Jack Premium Hard Root Beer - First off, I hate Mad Jack’s TV commercials, for it being a Molson product, I would have expected that there would be a larger budget for the Mad Jack line of products rather than giving off a vibe that made me believe that Mad Jack was a Minhas Creek line of malt beverages. 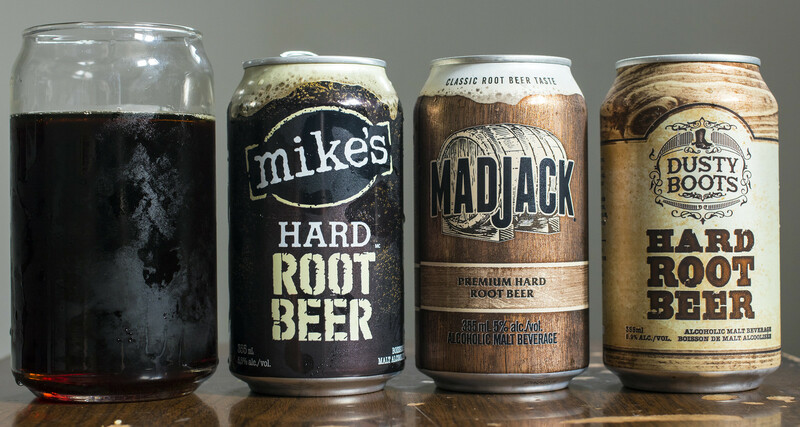 Mad Jack’s Root Beer comes out at 5.0%, brewed with malt liquor, glucose-fructose and “artificial/natural” flavours.